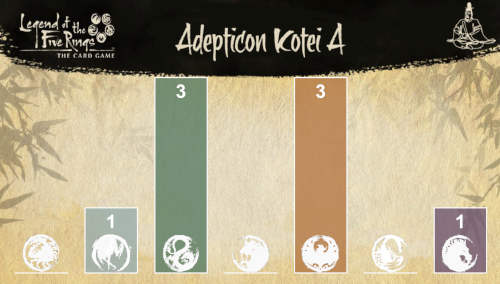 *Corrected* That leaves Hatamoto for Crab, Scorpion, and Lion who don’t make day 2. Notably, there were only 3 Lion players, Greg went 3-3 while the other two went 2-4. 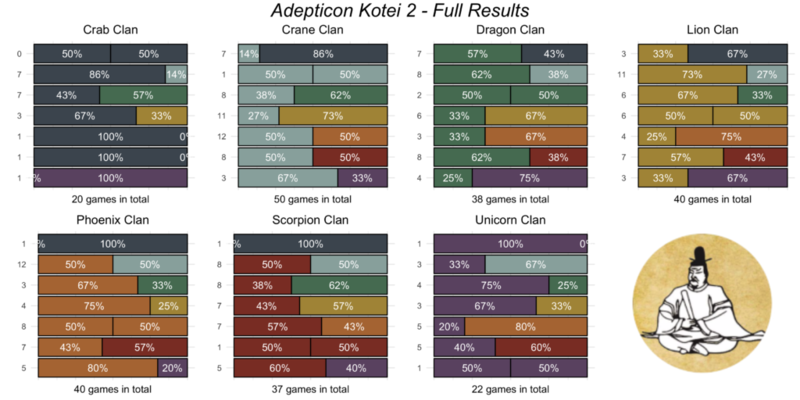 Finals were William Zhang playing Dragon (who now gets Hatamoto) and Jonathan Tessman playing Unicorn with William taking victory. Hopefully it goes without saying at this stage, but normal cautions apply. 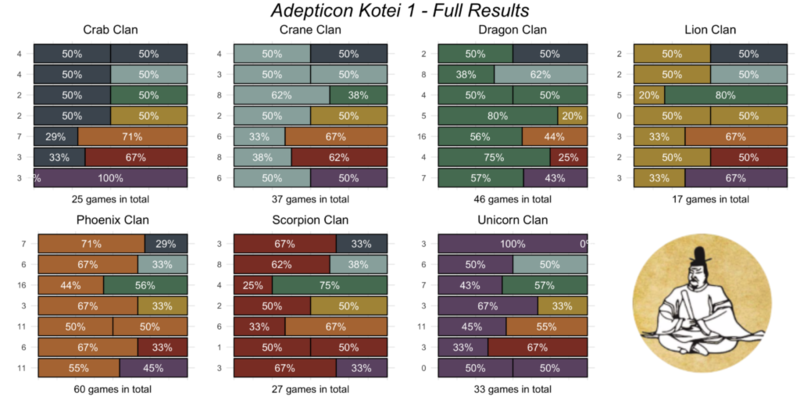 This is a relatively small sample, the chart displays the games that were played and not the relative strengths of the clan. Use stats with care. The Saturday started a new Kotei. Total attendance 45 players. 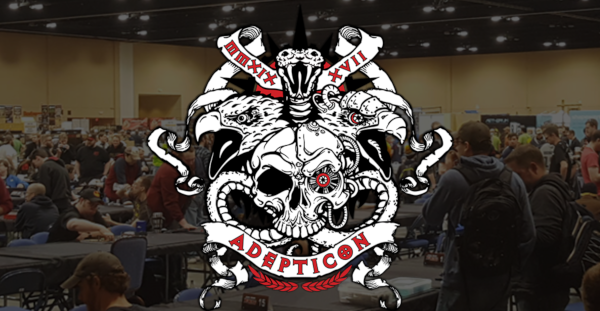 Details up on BCP here. Players who made the cut. Apparently, it was a top 8. Again hero players are transcribing the event onto Lotus Pavilion. The winner is Jason Scarrow playing Lion! How sad is it to think that just showing up could give you Hatamoto. Some love for Lion is really due ! 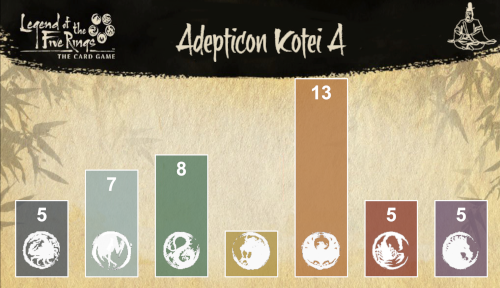 Those are not the guys who got Scorpion and Lion Hatamoto on day 1 of Adepticon 2019. I know because the people who did were me and my brother. I was 4-2 Scorpion and he was 3-3 Lion. 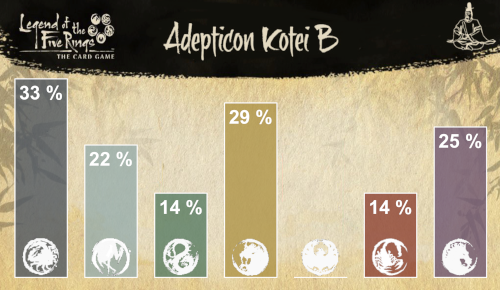 Lion is so bad, they didn’t even bring the Lion Hatamoto playmats. Thanks for that Paul. I either messed up reading BCP or something changed on it. I’ve updated the list now. The next day we get to see 2 Lion players go 5-1! This is a wild world. 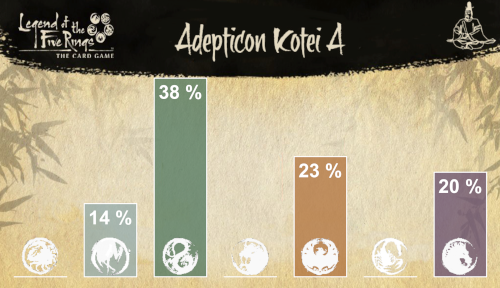 There was 6 people at 5-1 after swiss for Kotei A. I was the 6th one. Great job. 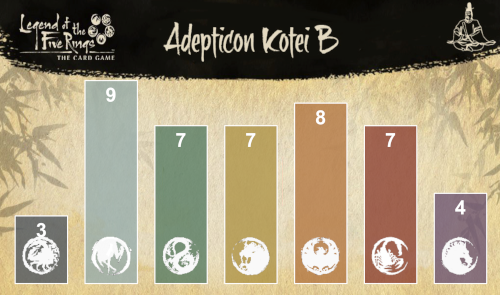 Any chance to get the Jason Scarrow’s deck? We are going to have a role change this month? I believe the new role will be announced sometime this month with the new role going live May 1st. 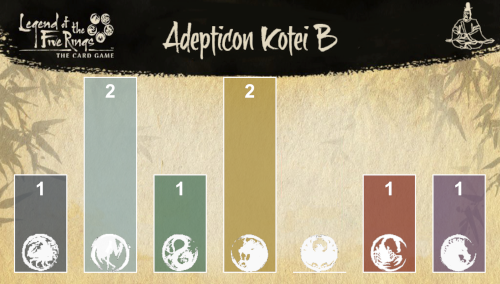 Winning deck of the adepticon Kotey B.